Before working on RTE’s ‘The Den’, Emma was involved in the Irish Popstar’s band “Six”. Their first single, ‘There’s a Whole Lot Of Loving’, is still the fastest-selling single in Irish history and received the number one spot for the decade countdown. “Six” released two multi-platinum selling singles and had a top five album in Ireland, and a No.1 single in Norway and New Zealand. In dance, Emma has won Hip Hop and Freestyling Championship titles in Ireland and Europe. 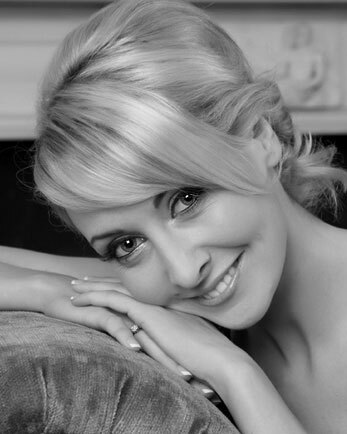 Emma has worked as a Radio DJ – first on RTÉ’s reality TV programme ‘Inside Charity 252′ and then on Limerick’s Live 95FM as a breakfast radio host Monday to Friday and on her own show called “Emma’s Saturday Night Party”. She also appeared in the Limerick panto for five years in the University of Limerick Concert Hall. Other theatre productions include ‘Snow White’, ‘Cinderella’ and the Genie in ‘Aladdin’ Maid Marion in ‘Babes In The Woods’ Charlotte Quay in ‘Robinson Crusoe’. St. Patrick’s Day Parade in her home town of Limerick. Christmas of 2009 saw the release of Emma’s first children’s book entitled “THE MIS ADVENTURES OF MAX”. Emma just finished her final grade in Speech and Drama with the Irish Board Of Speech and Drama and is now a fully certified practitioner of NLP . For the past two years, Emma was on the Irish panel of judges for the Eurovision Song Contest and also for the Swedish panel of Eurovision adjudication in 2010.